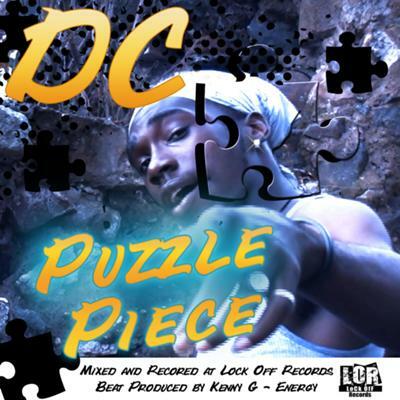 A young and talented Dancehall artist, from the little island of St. Kitts is about to turn heads with his new single “Puzzle Piece”, a self-mixed track produced by Caribbean Producer Kenny G/Energy. The artist Dujon Caesar, popularly known as DC has taken the initiative to make the world know that he is here. The sensual yet exciting lyrics of the song were written by him, as well as mixed and mastered. The beat itself was produced by Kenny G Production, the producer of 2010’s hot riddim the “Blue Gem Riddim”. DC, being proud of his new production, teamed up with local videographer Tru Capo to make the official Music Video to his song for his fans and followers. In the video, the singer is seen fighting his way through Jungle like scenes and overcoming obstacles to find the one he loves, his “Puzzle Piece”. DC, who is also the studio engineer of his own record label “Lock Off Records” has released the song globally through top Digital Music Stores; iTunes, Amazon Mp3, eMusic, Napster and more to make it available for all to get. He has also made some singles available freely for his fans to enjoy, singles like the emotional inspirational track “Can’t believe it” and ”You Can Be”. He thanks all who enjoy his music and chose to become fans on Facebook. Like his signature slang, everything’s “Lock Off”. Read more about artiste/producer DC HERE"